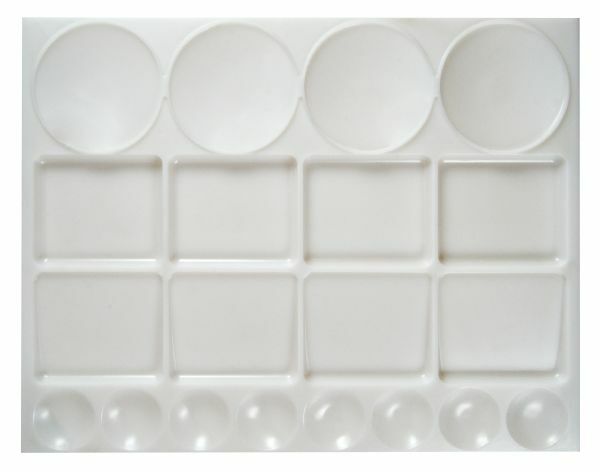 10" x 13" palette features four large and eight small paint wells plus eight roomy mixing wells. The quantity is 12 wells. The size is 10" x 13". 13.19" x 10.04" x 0.25"